The inner lid instant pots are considered as the best for every kitchen due to its safety features. In the inner lid cooker models, the top lid is seen inside the cooker, reducing the space inside. Thus, an Inner Lid Pressure Cooker has lesser volume and capacity. But still it is much safer to use. A pressure cooker be it of any category can burst if by any chance the pressure goes to the level beyond the extreme point and at the same time the valve gets jammed. This can be really dangerous. The inner lid cookers have some kind of resistive property as the bottom lid makes it sure that the outer lid does not fly easily. And so these are much safer since the chances of bursting will occur at much higher pressure levels than the outer lid cookers. There is an extra lock in the mechanism in the inner lid models that hold the extra pressure. 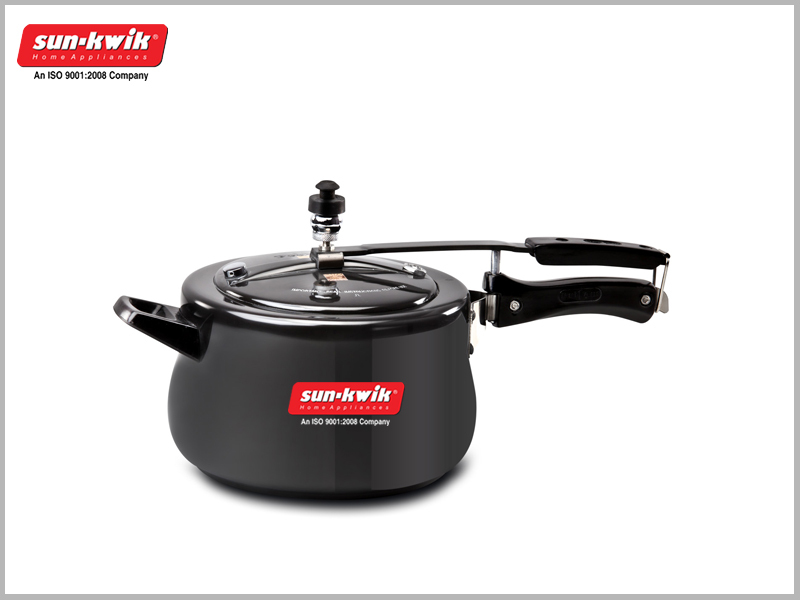 Inner lid pressure cookers are more popularly uses in the North Indian regions. The outer lid cookers larger volume as compared to the inner lid ones. This is due to the design of the pots. That is the space in the models with outer lid is larger due to the fact that the lid is designed to be fitted outside thus increasing the inner space. That is this kind of lid does not capture any inside space. But at the same time, these cookers are riskier to use too. When pressure builds up, no locking is found. That is the locking mechanism is absent in the outer lid cookers. As a result, the upper lid does not assists in holding the pressure. This boosts up the possibilities of bursting. Quite popular in the regions of South India. The outer lid instant pots works quite well with the separate accessories like the idly stands, steamer baskets, etc for cooking. The outer lid pressure cookers are also used for the direct vessel cooking. Some cookers in the online range are fitted with valves for controlling pressure and temperature levels. This helps in cooking at 8psi or 15psi. The chef has to keep tracking the time displayed on the cookers. But most commonly found are the cookers with whistles. By counting the number of whistles emitted, one can guess the time and the pressure that can complete the meal. Both the inner lid and outer lid pressure cookers are precious to a chef. Explore the online range to Buy Pressure Cooker Online at the best prices now.